Are you seeing someone treating an animal bad in Costa Rica? 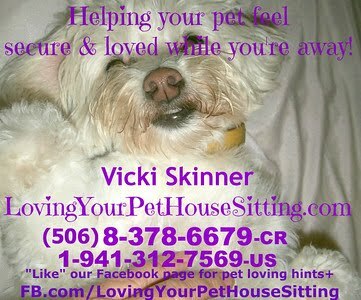 Do you have other animal related questions • issues • concerns? SENASA is a governmental institution that works for the health and safety of animal around Costa Rica. Have you seen someone treating an animal bad in Costa Rica? HOW DO I REPORT ANIMAL ABUSE in Costa Rica? Senasa’s veterinarian that speaks ENGLISH. She will see that the right SENASA personnel in the different areas around the country will inspect and determine the right steps to take in every situation. are journalists from Channel 9 that have a program called "Animal Report". If it is determined that an animal is being abused and it needs to be removed from its home, it will be sent to a temporary shelter and after some time will be adopted by a new owner. WHAT DO I DO IF I FIND A DEAD ANIMAL IN A PUBLIC STREET OR HIGHWAY? Contact the Municipality where you are located and see what their policy is (IF any). Do YOU know of any Veterinarians•Veterinarios or Groups or Facebook Pages that can help with these issues or have other contacts? CANELONES PASTA CASERA - QUESO - QUICHE - SALSA BLANCA VEG. Quedan 2 campos, para el que desee reservar lugar. De esas recetas salen varias opciones mas para su Menu Vegano, no se la pierdan! entre los que compartan en su muro este aviso, participen difundiendo las clases para que mas gente se beneficie. 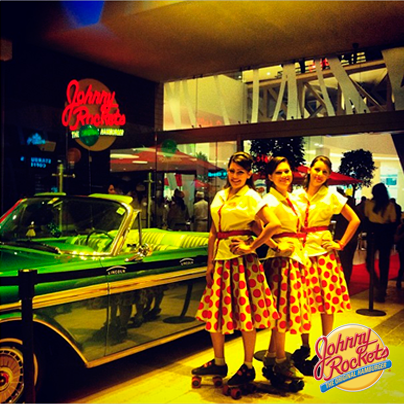 MEGA FUN AMERICANA style DINER Johnny Rockets opened their first of 4 restaurants September 27, 2013 in Moravia at Lincoln Plaza opposite Starbucks!!! Johnny Rockets is a 1950s and 1960s North Americana style Diner that is famous for selling American style hamburgers with their secret recipe, milk shakes, MALTS !!!!!! (Vicki’s FAV!!!!) 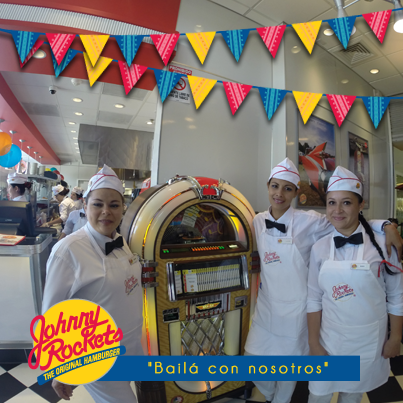 and floats (a "float" is a soda with vanilla ice cream in a glass of Root Beer [most popular] or Coca-Cola and Orange Fanta), but in the midst of a themed environment with mini-JUKEBOXES at each customer's table to pick their FAV songs from the '50's and '60's!! "The waiters perform choreography with some songs and hand out balloons to children making it a UNIQUE and FUN Environment for people of ALL ages!! A totally new concept in Costa Rica!!! THE large quantity•bulk Membership "Club" of Costa Rica (I believe they're owned by CostCo since they carry their Kirkland brand) so you need to join. Heavy with large quantity of popular American brand processed foods, meats (much of what I've noticed was USDA approved which is not necessarily good in MY book since U.S. standards allows for LOTS of hormones and things I don't believe are good for MY body - but considering how tough mean can be in Costa Rica . . . I would buy my meat here)•seafood, produce and packaged things as well as bulk on household cleaning products, etc. Some things are REALLY GOOD prices and others you can get cheaper elsewhere. Electronics, Computing, Home and Kitchen Appliances (often pretty good prices including including Stackable Washer/Dryer [around $1,000]), Tools•Hardware, Office Supplies, Toys and Baby items, Fruits and Vegetables, Bakery, Deli (the best cheeses and hams), Juices (MY FAV is the Pink Grapefruit juice), Wines (THE BEST price on 3 box wines) and Alcoholic drinks•Spirits, Food items, Frozen Goods (sometimes they have Corn Dogs!! ), Rotisserie Chicken (I LOVE their Roasted Chicken out of ALL the stores and it's LOTS cheaper than most of the other stores - last I checked it was around 4,000-c/under $8). Some clothes. Bedding (they usually have 1/2 decent sheets for a GOOD price!!!). Cleaning products. Nuts - peanuts, pistachios, almonds, walnuts+. Much of their items are their own CostCo/Kirkland brand products which are good quality. Also, GREAT PRICES on RESTAURANT•PARTY SUPPLIES (plastic plates, flatware, cups, serving things/chafing dishes!!). Many people get their DOG FOOD or some real generic cleaning products in bulk for CHEAP!! • PIZZA (MANY rave about their pizza and pick a whole 18" one up to take home for dinner) - 18" - 5,995-c. Slice - 1,425-c.
• HOT DOG (I like their BIG 100% beef Hot Dogs) - 1,295-c. Hot Dog Combo with fries & coke - 2,595-c.
• CHICKEN•CHEESE BAKE (very cheesy) - 2,195-c.
• FRENCH FRIES•Poppas Fritas - 1,095-c. With Cheese•con Queso - 1,395-c. FROZEN CARAMEL CAPPUCCINO - 1,095. • BERRY SMOOTHIE - 1,095-c.
• SOFT SERVE ICE CREAM•Helado (Vanilla, chocolate, combo) (8 oz) - 1,095-c.
A wide range of SEASONAL items!!! Good for CHRISTMAS DECORATIONS decorations ($$$$$EXPENSIVE$$$$$ though!). They start with the Xmas stuff till September]). GREAT place for "SUMMER" items like tents, above ground pools, kayaks, pool and beach toys•things, + (example - bit.ly/DeportesAcuaticosCR). FURNITURE: Sometimes they have a few selections of furniture (usually Patio Furniture), stuff of outdoors. Electronics, Computers (they're now carrying Apple•Mac's!!!!). GREAT place for Rechargeable Batteries for a decent price. 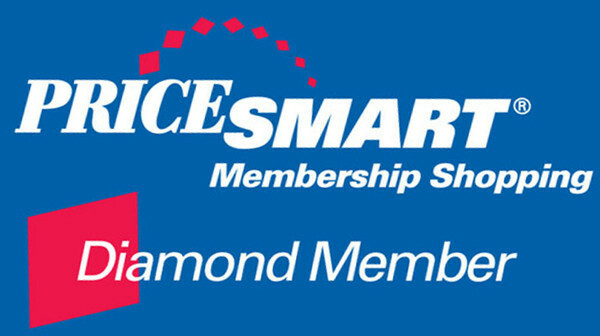 Good prices on phones and Home Security Systems. MY FAVS•basic staples/Gotta Haves when I go - #1 - Extra Virgin Cold-Pressed Olive Oil - around $16 for a Gallon. 1 pound of Almonds and Walnuts UNDER $10. My FAV•FAV•FAV (and why I'm such a BIG HIT at parties and with workers and people) - their Ghiradelli TRIPLE CHOCOLATE Brownies!! There are 6 packages in a box for UNDER $13 - making it a bit over $2.25 per BATCH!! You can't make them for cheaper!!! & they're SOOOOO Linguasmo/TongueGasmic!!!! BIG jar of Peanut Butter is under $6!!!). 3 one liter "boxes" of Clos Chilean Wine is WAYYYY cheaper at PS than anywhere. 1,000 ply Scott Toilet Paper lasts the LONGEST of ANY toilet paper I've tried!! I got all my flatware for my guest house here for SOOO cheap!! They tend to have PayLess Shoes on sites also. They have locations throughout South and Central America and the Caribbean. PHARMACY: I’ve found their prices pretty high compared to other places THOUGH - OFTEN their most popular gringo main brands are often LOTS cheaper (you know - Prozac and the like) and often they’re not into selling you smaller quantities. DISCOUNT: 5 or 10% off if you pay with cash (they never ask for your membership card in the pharmacy). AUTO: TIRES - their tire store (inside) I hear often has some GREAT PRICES! CAR BATTERIES. OIL CHANGES (GreenLubs). Installation Center for Tires and Battery and Oil Changes (MOST people I know seem to go here as they're quite cheap!). ADDITIONAL DISCOUNTS: They also have additional discounts at some other businesses. Join their Facebook page to get occasional discounts. Westbound - Coming from San Jose on the Autopista Prospero Fernandez•Pista del Sol #27 – after the Toll Plaza, get off at the first exit (note there is NO exit sign!!) – go straight down to the end passing the gas station, Jazz Café-West, Plaza Itzkazu (with Hooters and Outback), it curves around and goes under the Pista cutting back. Past the new bridge and Office Depot and it's the first street after OD. If you hit CIMA Hospital – you’ve gone too far. EastBound - Again – no sign. Get off the Pista and CAREFULLY veer to your LEFT (the Office Depot building is right in front of you) and Right at the first street (or their next exit which does not have as much traffic). 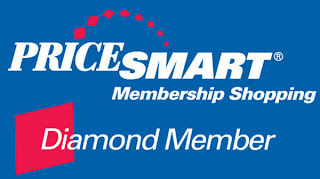 "Things You Didn’t Know About Pricesmart"
Has this MUCH more DETAILED description of PriceSmart helpful to you - brought more ease into your life, saved you time and/or $$$/¢¢¢¢? 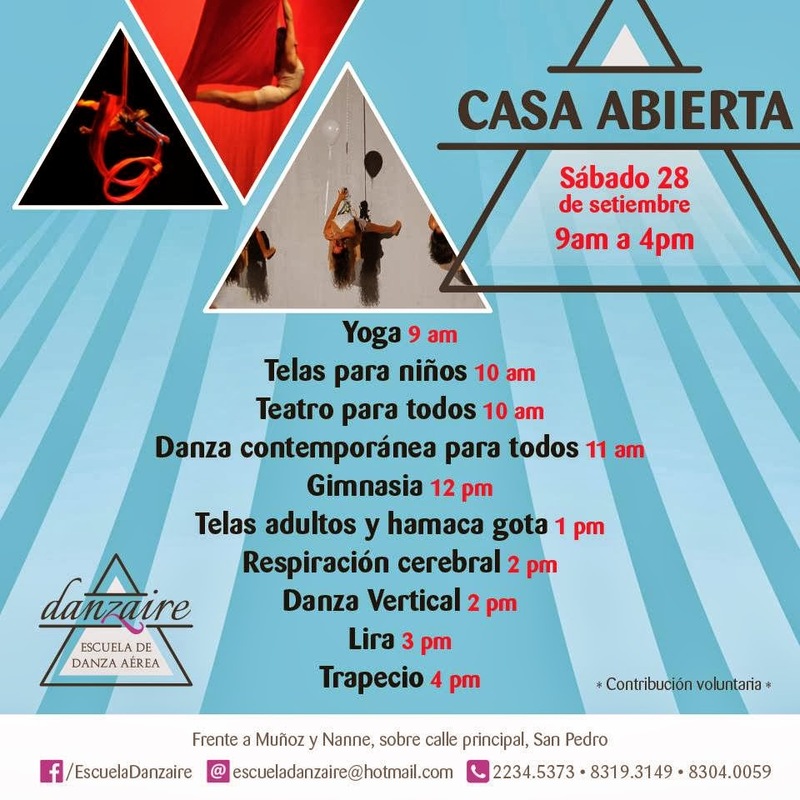 #2 - "High Vibe Healthy Holidays" in Escazu and Manuel Antonio! CLICK on "Read More" for MORE DETAILS! This coming October 1st, 2013 we will be celebrating, once more, the International Day of the Elderly established by the United Nations twenty three years ago. Costa Rica honors this day with respect, promoting the rights that elderly have to enjoy an adequate lifestyle. In order to strengthen the human rights of the elderly, they should have effective access to preventive health care programs and prompt admittance to hospitalization when it is required. Moreover, obtainable bonuses for housing programs, substitute homes, adequate governmental pension, social security, and active participation in the productive process of the nation, by gaining credits to develop entrepreneurial programs, must be of utmost priority. Knowledge regarding elder legal protection is key to avoid abuse from their loved ones. Hence, divulging the National Elder Law No. 7935, approved since 1999, and its recent modifications, is an absolute must. One of the most common scenarios I have experienced is that of many senior citizens who have been, without full consent, induced to dispose of their assets. This wrongful action typically happens to those who are vulnerable (special care, disability or disease) which, ultimately, affects his or her direct dependents too. Did you know that, under the same law stated earlier, you have the grounds to restore wrongfully transferred estates? In fact, all Costa Rica inhabitants have the right to access the criminal and/or domestic violence court to file a complaint. Due to a recent enrollment of an international convention, pending approval by the United Nations, elderly around the world are pursuing better and increased exposure of their human rights. Regardless, together we can all promote love, honor and respect to our elders from our homes, marketplace and pulpits as our public debt in recognition for their sacrifice, acquired wisdom, and commitment to this nation’s overall well-being and our own. Today, the International Day of the Elderly, I pay due respect and extend my deepest congratulations to all seniors. 25,000+ Page Views a Month and OFTEN towards the top of MANY Google Searches! Building•doing business in Costa Rica can be VERY CHALLENGING - like nothing I've ever seen•heard about in my life!!! SOME things can be avoided by us being LOTS more CONSCIOUS and doing our research and getting DIRECT CURRENT referrals from people you KNOW - NOT from the "yellow pages"•Amarillas Delice. #1 - The price quoted is often WAYYYYYYYYYYYYYYYYYYYYYYYY UNDER budget!! Some people have been sharing lately it's often 40+% HIGHER than originally told. #3 - Inept workers, workers not showing up•leaving early, getting "injured" (I know someone that's groundsman had a tree smash one of his fingers [not broken] and the INS doctor barely looked at him, gave him 2 shots in his tush, gave him some anti-inflammatories and a script/prescription for 3 days off work. He had LOTS of other work he could have still done withOUT using that hand - especially because he helped take care of a small zoo). #4 - Things "Disappearing" (ok - getting STOLEN)!! This is a SERIOUS issue that can happen. You might want to engrave•burn•mark somehow at least your cedula or passport number and ultimately ALSO your name into ALL of your tools/supplies (this is a standard suggestion for EVERYTHING you have - ESPECIALLY things that are often stolen like tv's, computers, electronics, appliances, tools, even your VEHICLES+++++++++!!!!!). LEAKING ROOF - This has been a problem of someone I know on an UN-finished house. SO FAR they've had the company come back 15 TIMES to fix it and they're STILL having problems. Fortunately it is still under the guarantee but not for long! Now - after 15 times, doesn't it seem like they SHOULD REPLACE the roof - start over?? The company doesn't seem to want to do that of course! Ahhh - THIS is why I tell people insisting on building - "Do NOT NOT NOT come to me with your complaints while you're building!!!!!" Even some of my closest friends - as I have YET to hear of anyone NOT have LOTS of problems and frustrations and this is based on MANY MANY MANY people sharing their stories!!!! GREAT IDEA TO HELP AVOID BIG FRUSTRATION!!! Make a provision in the CONTRACT where suppliers AND workers get paid a BONUS __% if they're done ____ days before the deadline (like for a month or so before the agreed upon REALISTIC date), ____% if closer to the agreed upon date (less), ____% if even closer to the agreed upon date (even closer to the agreed upon date), the amount agreed upon, & start deducting $___ per DAY from that for every day they're late. You might also want to consider withholding a certain % for a year•however long the guarantee is for to ensure it's functioning properly?? I've seen this REALLY work for people - and think this is even MORE helpful in Costa Rica to help with your sanity!!! If you think you think you'll be the exception to the rule or you just MUST build on your own•have it YOUR way, go for it (she says chuckle chuckle)!!! I'm holding with you a WONDERFUL PERFECTLY FUNCTIONING house for MANY MANY years!!! Paul and Gloria Yeatman's have published their September 2013 issue of their WONDERFUL VERY INFORMATIVE newsletter!! It's a MUST READ of anyone even remotely considering moving to Costa Rica - ESPECIALLY if they're wanting to learn how to live here on a budget!!! They're (usually Paul but sometimes you'll get lucky and get 2 for 1/both Paul and Gloria!!!) also a GREAT resource for you to consider hiring to show/introduce you around San Ramon if you're considering moving to this area - or to share more insight - or do phone Consulting via Skype (paid via PayPal)! rates range from $20-$25/hour (a great deal consider a taxi that just drives you around - no intros, often not understanding "our ways", heck - sometimes not even much if any English - is not much cheaper). FREE!!!! 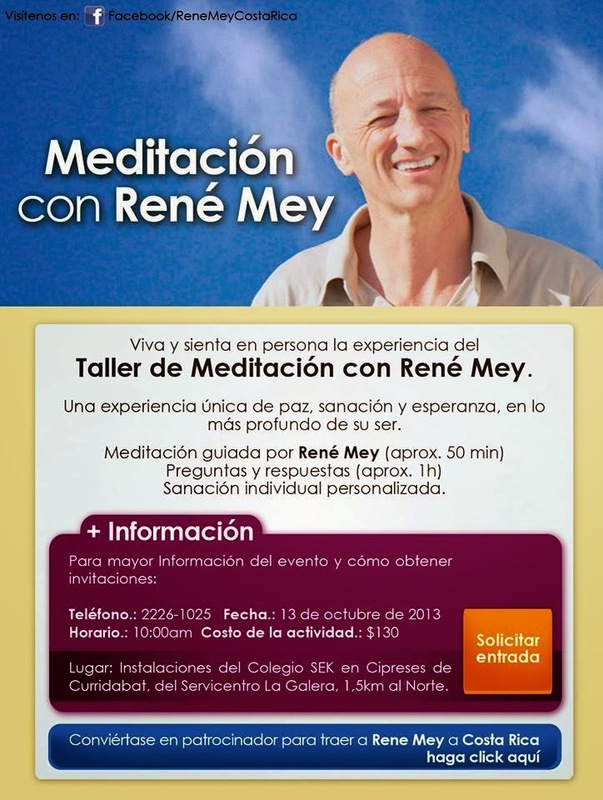 • LIBRE Y GRATUITA!!!! Read the list of participants in Art Walk, art circuit design, is like reading a list of contemporary artists in the country! Do not miss the opportunity to see works of Federico Herrero, Isidro Con Wong, Fernando Carballo, Fabio Herrera, Mario Maffioli and many more - 30 stands featuring over 100 artists! 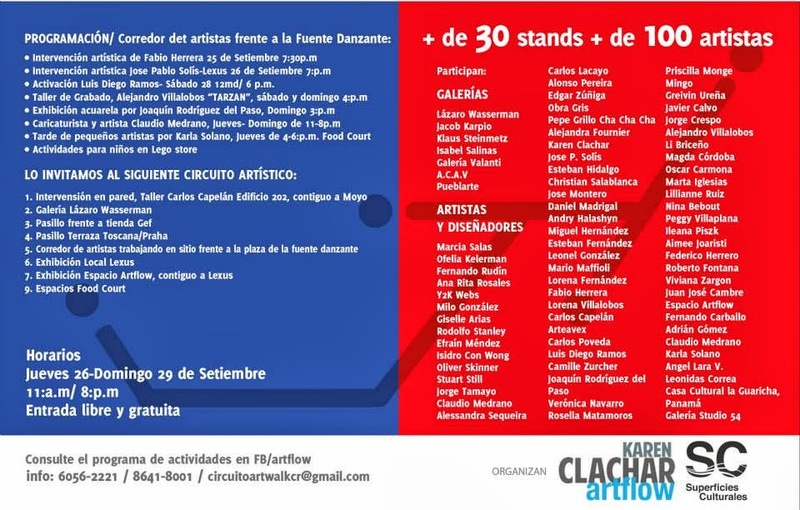 Leer la lista de los participantes en Art Walk, el circuito de arte y diseño, ¡es como leer una lista de los artistas actuales más importantes del país! No se pierdan la oportunidad de ver obras de Federico Herrero, Isidro Con Wong, Fernando Carballo, Fabio Herrera, Mario Maffioli y muchos más. Buying a Property•House•Condo in Costa Rica? CHECK DEEPLY!!!! Are you considering buying a house, condo or land that's for sale in Costa Rica? PLEASE PLEASE PLEASE READ AND DO THIS!!!!!!!!!!!!! MAKE SURE the property has EVERYTHING clear with it!!! ALL proper permits in place? NO denuncias/lawsuits against it or the current (or even previous) owner?? Just because a property is with a big/"respected" realtor does NOT always mean EVERY rock has been un-turned and if it were me, I sure wouldn't want to spend $$$ on a property to find out something was wrong with it down the line - like not all parts of it were built with proper permits and the solution they offer is to tear that part down now would you?? It's CRUCIAL to make sure of this ALWAYS in Costa Rica as it's NOT that rare for there to be problems from what MANY have shared with me!!!! Another slice of Americana comes to Costa Rica (AGAIN [RUMOR has it that they were in Costa Rica back in the 1970 and 1980 in Downtown San Jose)! 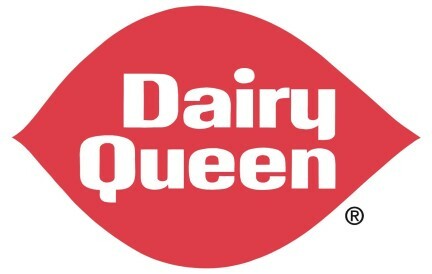 Dairy Queen (aka DQ) will be opening a BUNCH of small ice cream parlors and/or their Americana Fast Food Restaurants in Costa Rica in 2013 and 2014. The 2nd store will open in Downtown San Jose on Avenida Central "AROUND" the end of September 2013. Reports have it that the Escazu and Downtown San Jose stores will ONLY sell their tasty Americana ice creams. 2 more stores will open in November - in San Pedro and at the Paseo de las Flores Mall in Heredia. And they plan on opening more stores in 2014 in Alajuela, Cartago, Curridabat, Desamparados, Heredia and Tibas. Dairy Queen partners - John Fremont "Grandpa" McCullough and his son Bradley created the FIRST Soft Serve Ice Cream in 1938 and later opened their first Dairy Queen with Sheb Noblewere in 1940 in Joliet, Illinois. 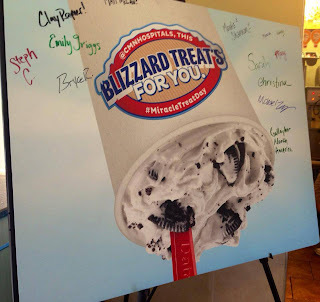 I THINK they originated the concept of the Blizzard - a thick soft-serve in a cup with sundae toppings and/or pieces of famous CANDY like MY FAV - Butterfingers, Oreo, M & M's and Snickers, cookies, or brownies mixed in with a special "blender" (I LOVE these as I like ice creams with CHUNKS of things in them - something HIGHLY LACKING in Costa Rica!!!)!!! They also carry MY FAV - FAV - FAV - MALTS (with EXTRA EXTRA EXTRA Malted!!!! [like those Malted Milk Balls you see around Easter!!! Actually, AutoMercado sells the Malted Powder!! 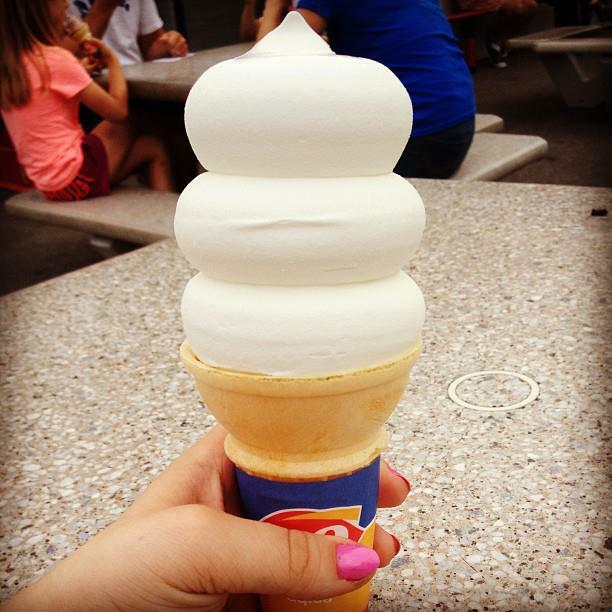 Can we say "Give me a SPOON!!!"). Candy Cane Chill with Peppermint & chunks of Chocolate in December - in time for Christmas!!! my #2 FAV - Choco Cherry Love in February for Valentine's Day!!! 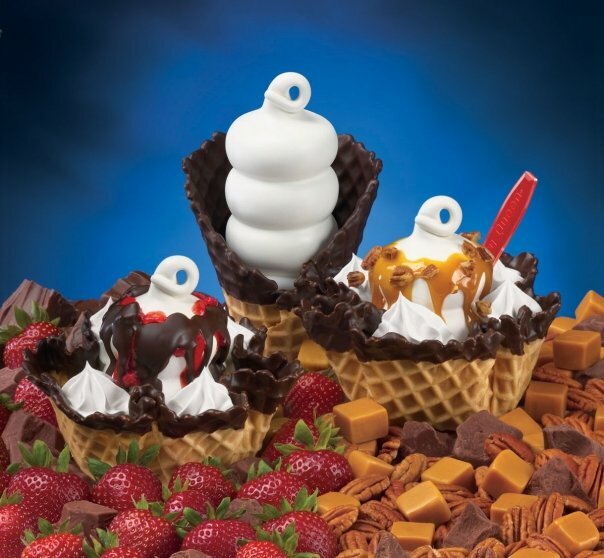 I also love my DQ Ice Cream in their Waffles Bowls and Cones!! 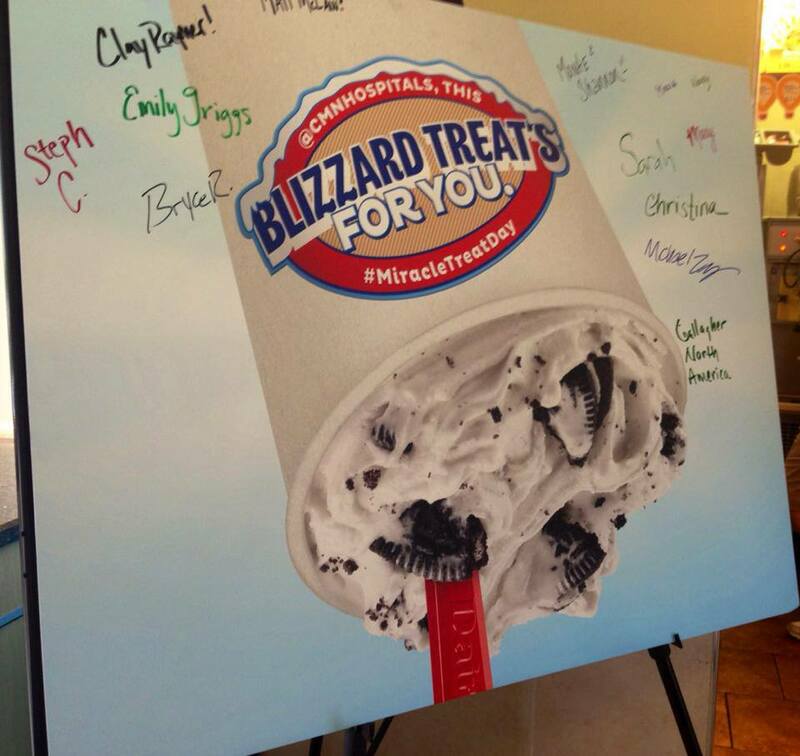 MANY LOVE their Orange Julius Treat Smoothies. The orange Airport Taxi's are NOT going up because their contract is in dispute and the airport is looking for a new company to contract to so I'm SURE they'll go up once that's settled! I have not been able to find the EXACT DATE on when this is happening but will post it when I find it. Taxi PASSENGERS are responsible for ALL tolls, in addition to the amount shown on the taximeter, the Authoridad noted. The agency also reminded users that there is NO DIFFERENCE IN THE RATE based on the time of day, condition of the road or the origin or destination. Frequently there are taxis without meters or with hidden meters at hotels. Drivers justify their higher rates because they say they have to share part of the money collected with the hotel. Although the Authoridad routinely discounts these claims, there hardly ever are any crackdowns, and hotel taxis continue to overcharge users, in particular foreigners. GASOLINE IS GOING UP - AGAIN!! Super - 17-colones (now 738-755-colones = $1.49-$1.52/liter = $5.97-$6.08 a GALLON. Regular/Plus - 21-colones (now 708-739-colones = $1.43-$1.49/liter. $5.70-$5.95/gallon). Diesel - 10-colones (now 623-633-colones = $1.25-$1.27/liter = $5-$5.09/gallon). Rate Increases on Taxi's or Gas go into effect the day after they are published in the La Gaceta official newspaper. Peeps - PLEASE PLEASE PLEASE READ this VERY WELL written • REAL • CRUCIAL article as I have seen employer after employer get SCREWED BIG TIME - EVEN by illegal workers or people that can't even sign their own name and EVEN from those you THOUGHT were like family to you!! You WILL NOT win!!!!!! 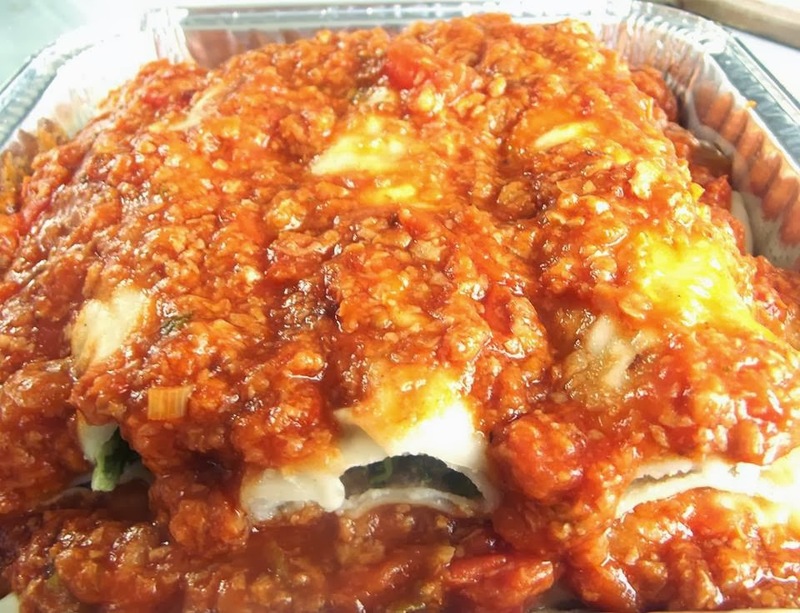 There is a popular adage in Costa Rica, Pide perdón, no permiso. Doing this can get an expat snagged into a big, expensive problem. The saying means "ask forgiveness, not permission." It is a strategy used by Ticos and expats alike to get things done without going through the normal red tape. The scheme is also used to avoid traffic fines, building permits, payments, and the list is long. The idea behind the concept is that if one asks permission to do something, the consequences are usually much more complex and expensive than just apologizing for doing it or a paying a fine. This practice is not recommended or condoned, and it should never be used when dealing with the legal insurance requirements for employees or workers. Far too many expats are playing with fire when managing their household staffs and contract workers trying to save money. Some even play games with their laborers in their business. The law in Costa Rica is very clear. Every worker in this country is required to have two insurance policies: A health policy with the Caja Costarricense de Seguro Social commonly known as the Caja, and the riesgos de trabajo, "workers’compensation," policy with the Instituto Nacional de Seguros, known as INS. Employers must carry these polices for their workers. Independents must buy individual policies to cover themselves. Many expats do not understand these facts or choose to ignore them. The Caja provides medical insurance for wellness issues, not work-related accidents or health problems attributed to working conditions. If a worker gets hurt or sick on the job they go to the Instituto Nacional de Seguros facilities and not the Caja. That is why there are two distinct insurance programs. It is illegal not to cover employees with both insurances, and it is illegal not to cover oneself if working as an independent contractor. The reality is that many — if not most — independent blue-collar workers do not cover themselves with workers’ compensation insurance. Moreover, in many cases, the contractors of such workers know they are not covered, increasing their liability in an accident. The top labor court of the country, the Sala II, and the constitutional court, the Sala IV, have ordered contractors to pay medical expenses, even lifetime allowances, to hurt workers when they are not individually covered. One insurance agent interviewed went as far as to say some workers choose where to have their accident because they do not want to have it in a place where their contractor or employer cannot pay. They hope for full disability and a lifetime of payoffs. If he is bleeding to death, Caja physicians give him medical treatment and send a big bill to INS. INS workers do not like getting bills from the Caja. When they cannot use their hospitals, they send claimants to private facilities because they get better services for a reasonable price. Juan is not bleeding to death, so the Caja sends him to INS. The person interviewing him asks the same questions and gets the same answers. He or she checks on a computer to see if Juan is covered. When the data shows he is not, Juan is sent to the verificación de derechos office for verification of his rights, and an inspector is assigned before the injured worker gets medical attention. get their money? From Juan? He has nothing but his weed eater. INS goes after anyone it can who may be responsible, including the homeowner. In those cases that have gone all the way to the labor or constitutional court, homeowners usually lose miserably. Liability can extend to homeowners associations and administrators of gated communities in some cases. When hiring people as employees, expats should not adhere to the old adage but provide health insurance and workers’ compensation to them as required by law. 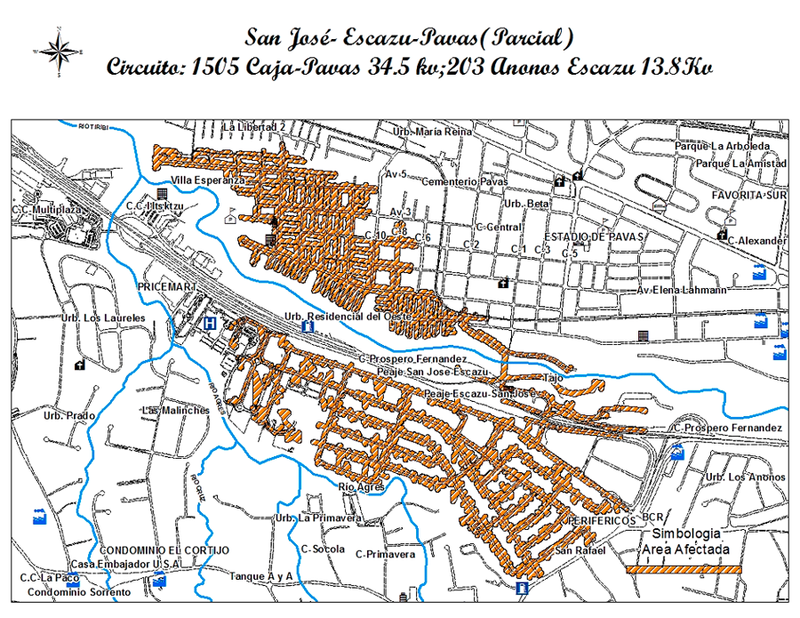 Costa Ricans who are retired and are covered by the Caja because they have a pension are not exempt. They need to be covered just like any other worker. Some do not want to be covered because they feel it will reduce their pensions. They want to be paid under the table. This in never a good practice. One example is a retired postal worker who did not want to be covered for this very reason. He ran errands for an expat. When he decided to quit, he threatened to turn his patrón over to the authorities for not paying his insurances as required by law. He received a four-figure dollar payoff to avoid the scenario. To adhere to the law, when hiring someone as an independent contractor, for example a gardener, a homeowner should ask to the riesgos de trabajo policy payment receipt. In many parts of the country, this just is not practical, so there is another solution. Randall Contreras of PRICOSE insurance agency said in an interview Friday that INS offers two basic types of homeowner policies: Hogar Seguro 2000 and Hogar Comprensivo. He stated that in his opinion the Hogar Seguro 2000 is outdated and does not provided the coverage needed for homeowners today. He said people still buy it because it is easy to obtain and meets the minimum requirements for banks when borrowing money for a home loan. The policy, among other deficiencies, does not provide any type of workers’ insurance. Hogar Comprensivo is a better policy, and it does provide insurance for one domestic worker and two outside contractor types, like gardeners and maintenance people, he said. The policy can also be adjusted for more liability coverage. Hogar Comprensivo is also a replacement value policy for covered assets with a low deductible while Hogar Seguro uses some weird calculation formula to determine loss, and it rarely benefits the insured. Buying homeowners insurance with riesgo de trabajo does not exempt independent workers from having their own private coverage or an employer or contractor requiring same. It could help an expat to cover a work-related accident or avoiding a hook in a dishonest claim. 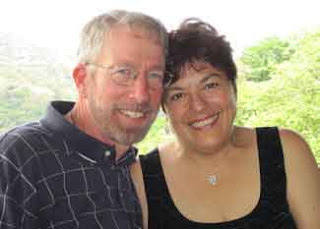 Garland M. Baker is a 42-year resident and naturalized citizen of Costa Rica who provides multidisciplinary professional services to the international community. Reach him at info@CRExpertise.com. Baker has undertaken the research leading to these series of articles in conjunction with A.M. Costa Rica. Find the collection at CRExpertise.info, a complimentary reprint is available at the end of each article. Copyright 2004-2013, use without permission prohibited. Ok, I want to make this clear, I am NOT "Sharing" this literally saying ExPats should be demanding of/expect the things on this great list of reality points (or the tongue in cheekness of it I think the author intended it to be since SOME ExPats DO feel this way). The season approaches for campaigns, and the general election is Feb. 2. Costa Rican law and simple courtesy prohibit foreign expats from participating in a candidate's campaign or donating money, although that last rule frequently is broken. But there is no reason expats should not push for changes in the management of the country when they are directly affected. 1. Driver's license: A provision of the new traffic law prohibits issuing driver's licenses to any foreigner who is not an official resident. This rule should be changed so that anyone who has applied for residency can obtain Costa Rican licenses, usually by recognition of an existing foreign license . Now expats who are waiting a year or two years for their residency application to be approved still have to leave the country every 90 days to keep their foreign license valid. While on the topic, expats should be able to get their first license based on a foreign license at any issuing office instead of having to make a trip to La Uruca. 2. Firearms permits: President Laura Chinchilla has stripped rentistas and pensionados of the right to own firearms to protect themselves and their homes. Legal residents usually have to wait three years to become permanent residents and acquire a firearm permit. Yet pensionados and rentistas are some of the most vulnerable with many possessions and usually of less physical capacity that a gang of young toughs. While on this topic, how about speeding up the permit process? Long lines and fingerprinting of expats who already have been fingerprinted are just techniques to make getting a permit more difficult. 3. Lawyer fees: Many expats buy a home or property in Costa Rica. At closing their have to pay 1 or 2 percent of the purchase price to the notary who documents the sale. A fee of 1 percent on a $400,000 condo is $4,000. That is disproportionate to the work that a notary-lawyer might put into the deal. They should work based on hours expended on the job. Of course, with the legislature full of lawyers, and the fees set by the lawyer's union, the Colegio de Abogados, there is little chance of this change. 4. Pensionado benefits: Years ago expats who became pensionados were allowed to bring in an automobile without paying import tax. There are still some vehicles carrying Pen tags. Other countries treat their new arrivals far better than Costa Rica. The legislature should consider restoring some of these benefits. 5. Illegal work: The informal economy here involving expats is huge. Call centers, gambling houses, bar and restaurants frequently have tourists on their staffs illegally. Some even have creative ways of paying their workers, like via a credit card issued by a Panamá bank. Costa Rica should lighten up and adopt reasonable rules to allow these people with an obvious needed skill to work here. Many are at the beginnings of their careers, so forcing them to be crooked can have long-term effects. 6. Instituto Costarricense de Turismo•ICT: This bloated government agency need a radical fix. What this agency does not know about advertising the country would fill a book. They have placed ads on New York buses, gave away free trips and now are promoting the country to the sub-teen movie audiences. And they seem to be counting everyone who arrives at the international airports as tourists. Many expats have tourism operations, and they are directly affected by the actions of this agency. The ICT, as it is called, needs to define its market and use traditional methods to reach it in a transparent manner. 7. Beach concessions: Pity the homeowner who is being whipsawed by the central government and the municipality and seeing the annual concession tax or canon skyrocket. There needs to be reasonable approaches so concession property holders are not treated as if they were an international hotel chain. 8. Online purchases: Plenty of expats are afraid to make online purchases because they have heard of the red tape. Sometimes the government just confiscates the purchases. For minor purchases, expats sometimes have to hire custom agents to get the product through the labyrinth. The situation with medicines is even worse. A much-needed medicine that is unavailable here is confiscated because it has not been approved by the Ministerio de Salud even though the product is approved by the U.S. Food and Drug Administration. So expats mule in the illicit medicines. Didn't the free trade treaty cover this? 9. Double insurance: A rentista, pensionado or permanent resident must belong to the Caja Costarricense de Seguro Social. The fees are going up. Those who do not want to get in line at 4 a.m. to get an appointment eight months later with a public physician, frequently obtain local insurance from the Instituto Nacional de Seguros or elsewhere to cover them at private hospitals. Those who purchase their own insurance should get credit for that and not be forced to join the overwork public medical system. 10. What is it with the exchange rate? Expats and exporters who receive funds in dollars have been getting skinned for years with an unrealistic exchange rate subsidized by the Banco Central. Should officials just let the rate float? Costa Rica, a country that will not drill for its petroleum or dig up its gold, is in a difficult financial position. The current situation with half the national budget borrowed is not sustainable. Officialdom should be a little more receptive to retirees and others with money who want to live here an become part of the economy. And expat should not be shy about telling officials so.